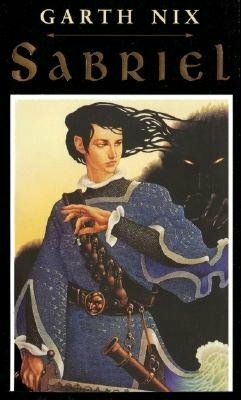 Sabriel's father, Abhorsen, is the man charged with preventing the dead from returning to the land of the living. Sabriel, still a teen, has been raised far away from her father's work, at a boarding school in Ancelstierre. One day, a messenger brings Sabriel her father's sword -- a sign that that he has passed on. But Sabriel doesn't believe it and she sets out on a very dangerous mission to find and rescue her father. Unfortunately not the coming-of-age novel I really hoped it would be, Sabriel's odyssey is still entertaining. The plot is packed full of adventure and the settings are rich and full. The details of the magic that they use is fascinating and original on its own, but there is also the vivid detail of the Afterlife (which would put Dante to shame) and the incongruous modernity of Ancelstierre. All in all, it's a fascinating world. So, while the lack of a stronger human element is a turn-off for me, the book itself is readable and introduces an exciting world.